This guy looks sincere and gives some good advice. I hope none of my readers is committing crimes, but anyway, good advice for anyone about nasty situations. Josh from Lockdown23&1, if you wanna check it out. Long time since the last post. I have been busy, but on top of that, no news and no discoveries to talk about... till today! Koshiki is a full contact style, rooted in traditional Shorinji Ryu Okinawan Karate, that uses intense and deep kata bunkai exploration and later uses it in NHB kumite. How did I find this gem? 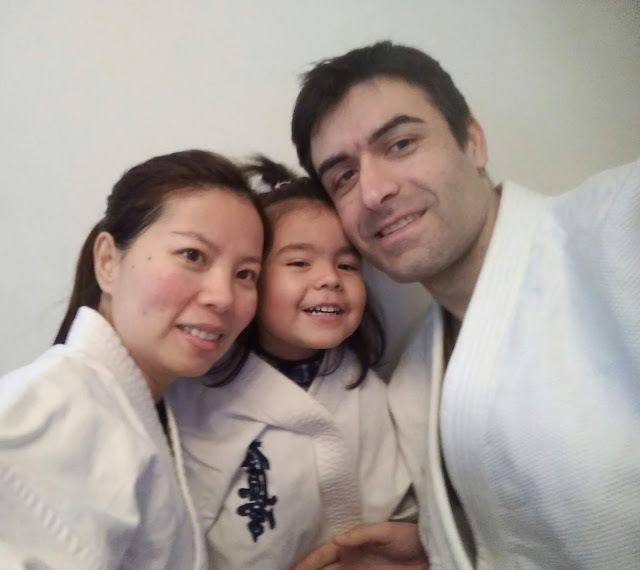 I was on a family trip in the beautiful Cantabria, north of Spain, and the destiny made me rent a house to a Karate Master, Sensei Juan José Reigadas, who was a wonderful host and was kind enough to notice I was wearing a Kyokushin jacket and invited me to join a class. You can see the helmets (Kudo style) and body shields used for kumite, but the fun part is that is BARE KNUCKLE. Yes, no gloves. Yes, hard plastic masks. Yes, you punch right on the plastic. Sorry for the long time not writing. It was been a busy year (studies, surgery...). Anyway, here we are again. This time I would very much like to rise awareness of what grappling arts (Judo, BJJ, Sambo, grappling, wrestling...) can do against people trained exclusively in striking arts who have no idea how grappling works. Oh, yes, Karate is grappling with strikes! Yes, but, most people don't train it like that. 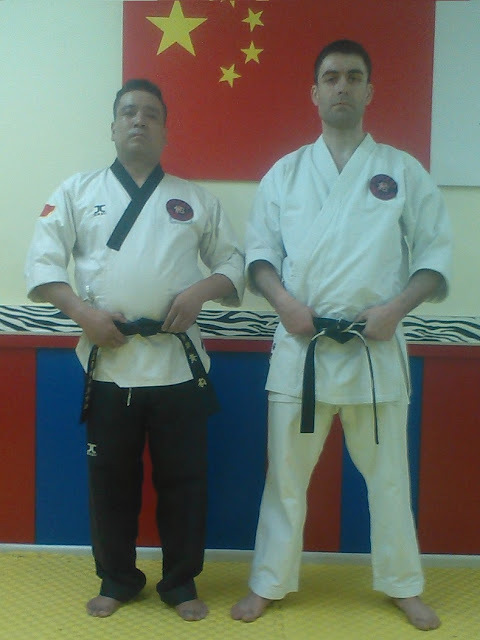 Just have a look at how I, who have been doing Martial Arts for more than 30 years and who has had his own share of Judo and trained mostly on the ground in the last 2 years, can not dominate and brutalize a newbie 20 pounds lighter than me. 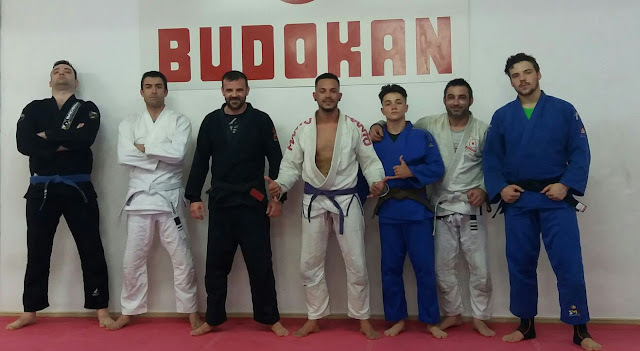 Now, many people are trained in grappling arts nowadays, so it won't be difficult to understand that your chances of facing a grappler are higher than ever. Yes, your chances of getting into a fight are low, I know that. Thank you. 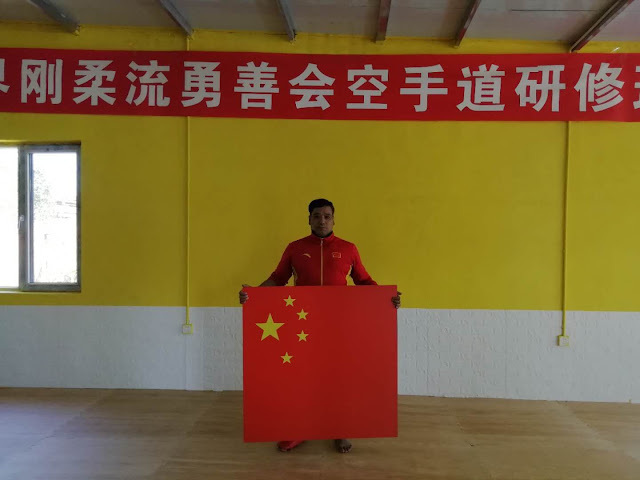 New Yuzenkai Honbu Dojo in China!!! Today is the day that we uncover to the world the new Honbu Dojo of GIKKU Yuzenkai in Shenyang, China, managed by Saiko-shihan Huanghai. For all those interested, the addres is: 沈阳市，于洪区，平罗街道. 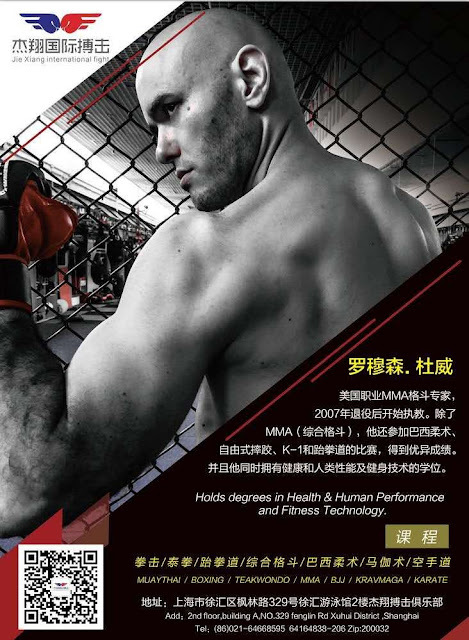 Finally, after all these years my good friend Huanghai has managed to open a new and modern dojo, where Karate, Taekwondo and MMA classes will be conducted, all along serving as the Headquarters of Yuzenkai for all China. I wish the best of lucks with this new endeavor to my good friend Huanghai, without whom I could not have lived as I lived while in China. 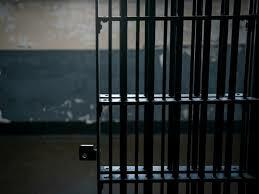 I am so in debt with him that I will never be able to compensate him for his troubles and his true friendship. New poster for my club, with Ramsey "Danger" Dewey as the coach. If you are around, go and join. Good training and better people! Today I bring you my last project, a video I shot with my friend, karateka, producer, camera-man, director... that did not like the result and wishes to remain anonymous. It is a one-shot bunkai where I try to show some ideas that can work with this wonderful kata (my tournament kata, by the way). It did not quite show my ideas in the way I thought it would, but anyway it took many months to produce (people are busy) so I decided to nevertheless make it public. It has grappling, striking and in-fighting so I guess it is quite varied. Please, send me criticism that is constructive. I already see many things to improve. I firmly believe the ideas and techniques behind it are useful, but we showed them in a rushed and confusing manner. Sorry for that. We made it to the front page! Yes, the original one. An yes, I took the picture myself!! 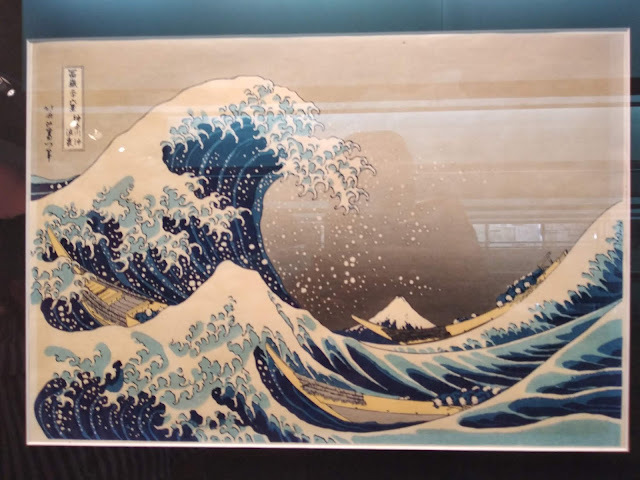 Oh, you were expecting the GREAT wave of Kanagawa to be a huge piece of art, right? Well, it is huge to be in front of such an immortal piece of human history, and the wave itself looks huge besides the poor fishermen under it. Besides this (worth the trip!) there were some other great Japanese pieces. Enjoy! Artists: Great wave of Kanagawa by Hokusai, rest by Hiroshige. 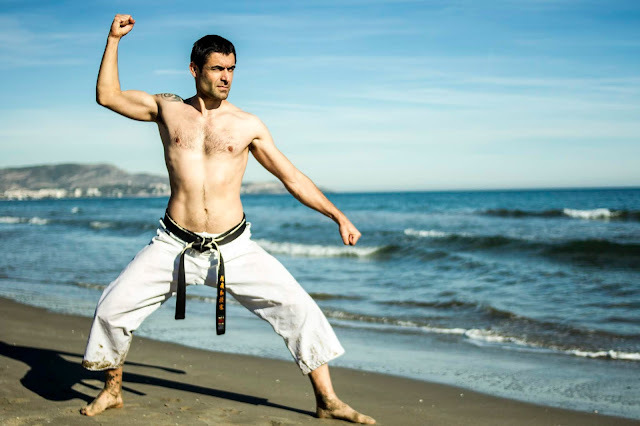 As I always stress in this blog (I should call it "Psychological Karate") the most important thing (in my opinion) is to be able to react to attacks. If you do not freeze, then you are half saved. The father, not the kid. The people behind just had the automatic reaction of "flinching", that is "doing nothing useful", but he had the cold blood to try to protect his kid's face. Father instinct I hear you say? Maybe, but maybe not. 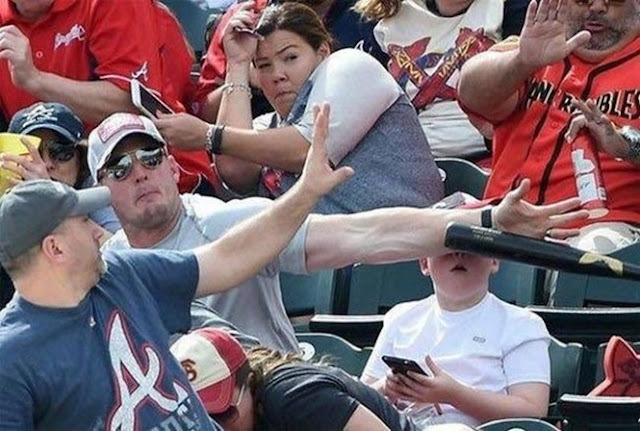 He did what he had to do.He reacted in the most useful way to protect his kid, not himself. 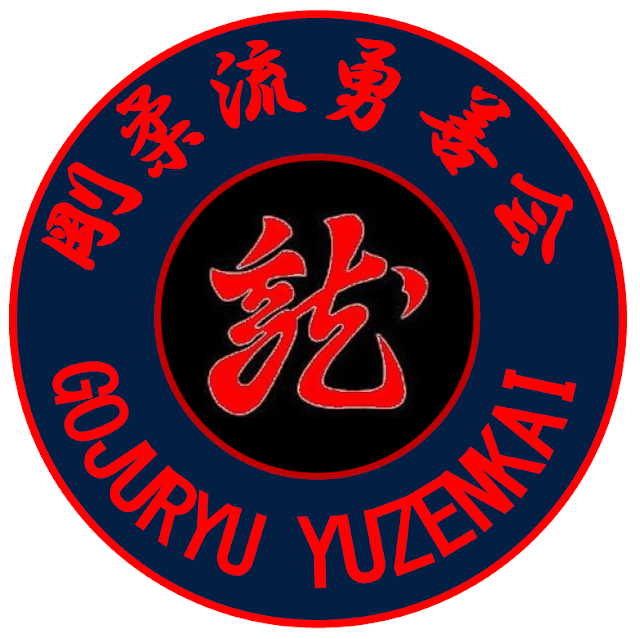 Thanks to the continuous efforts of, now Susheki Shihan, Huanghai to promote Karate in general and GIKKU Yuzenkai in particular in China we received ten applications to be members of this sharing and warm-hearted organization. Omoto Kancho was pleased with the enthusiasm and martial proficiency shown by all candidates so he gave the OK to them. The growth is exponential, and all thanks to hard work, good communication skills and serious training. I wish you great success with your new endeavor. We trust you with the future of Yuzenkai in China! PS: He just messaged me with news of Dojos interested from Korea! 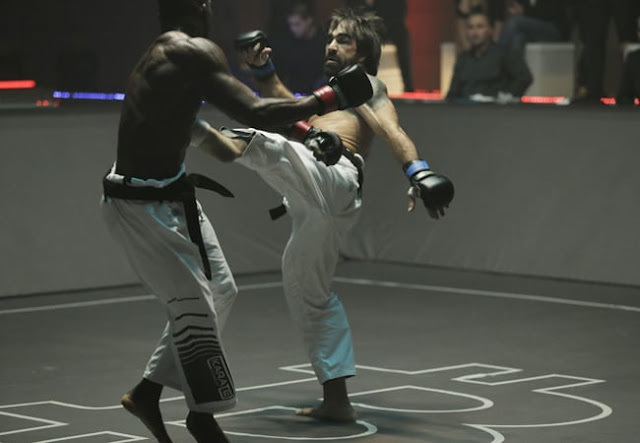 Karate Combat: now, this is interesting!! 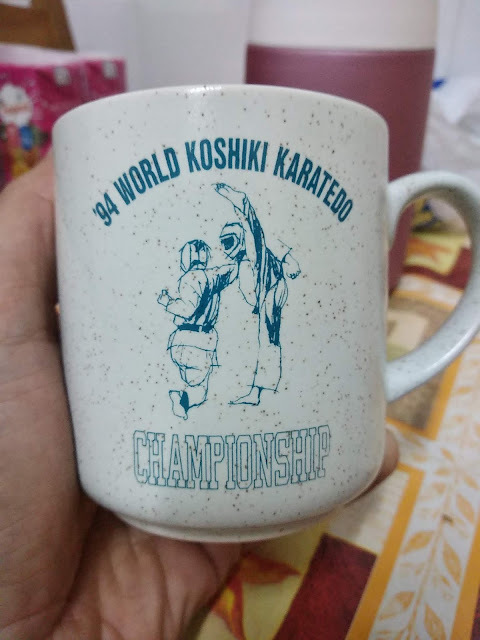 Now, if you follow this blog you may already know that I do not specially enjoy WKF kumite. That kind of point sparring is impossible to understand for me. How can you give points for NOT touching your opponent in a Martial Arts competition?!?! Well, I just discovered "Karate Combat". I am not a fan but I just found him in my new found love: Karate Combat. For what I have seen, the rules are really really interesting: full contact, throws and takedowns allowed, a bit of ground fighting is all right... I could take part on this very happily! Now, this is some nice competition rules. It is real. It is alive. Karateka looking like strong athletes... You get my point? Compare the same guy under both rule sets. Can't barely recognize him, can you? Why mainstream Karate is so lame, so boring, so fake? I decided to give it a go to BJJ last night in order to check how broken my nose still is, but I survived the work out just fine. Man, I was totally scared the whole time hahaha. Never had a worst time during training in my whole life. Thanks to my mates for going soft and slow on me. I really needed that. From all the people I have encountered in my Martial Arts life I need to make special mention to my good friend Huanghai because he really shaped the way I train and the way I see Martial Arts. I met him during Kyokushin practice, in Tangshou Dojo, Shenyang. He had been training with Royama Sensei in Kyokushinkan in Japan for a number of years. He also got to brown belt in Aikikai in the mean time. In that picture we are at the Huochetou Academy before class. We are both wearing our Yuzenkai patches, he is helping me since the beginning with the management of the China Branch. I was teaching Karate there and he was teaching Taekwondo. This is his ad at the door of Hunnan Wushu club. Yes, he is a fourth Dan in Taekwondo, that he got in the Kukiwon while he was living in Korea. He also got a blue belt in BJJ recently and re-tested for his Karate nidan in the Chinese Karate Association last week. Oh, yeah. He also boxes and referees fights. Yes, also in K-1 China. I started Judo when I was six, switched to Karate in University (where I studied Psychology) and I love playing guitar!